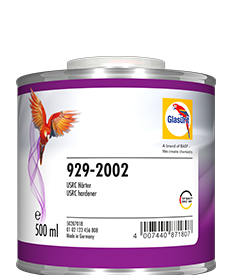 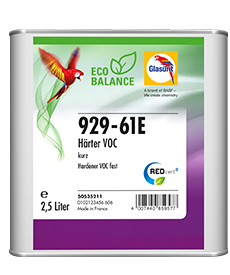 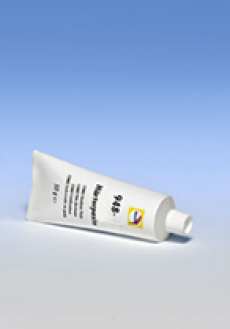 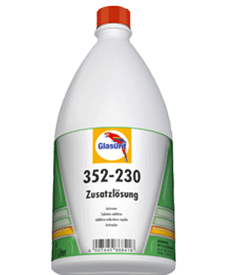 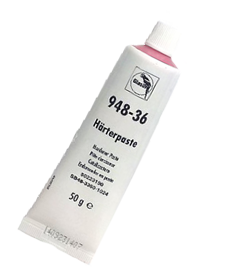 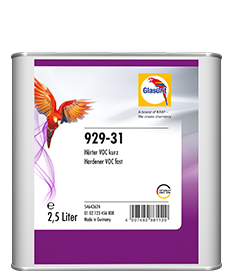 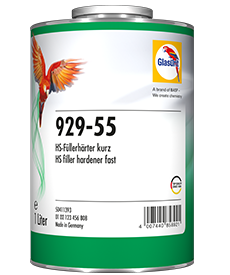 The ideal standard hardener for use in Glasurit undercoats is 929-55 HS Filler Hardener, fast. 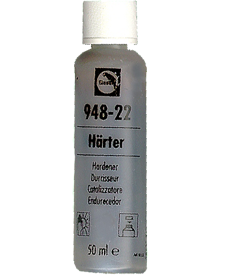 This filler hardener is particularly well suited for use in minor refinish tasks and at low temperatures. 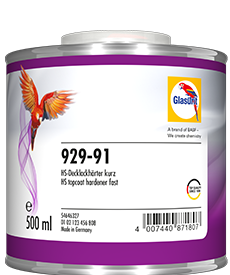 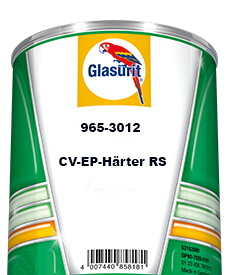 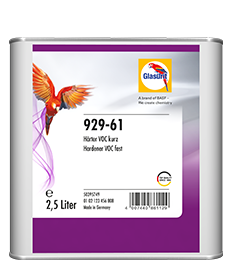 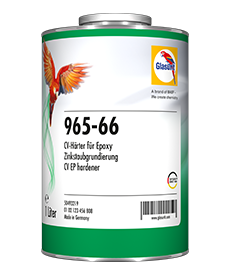 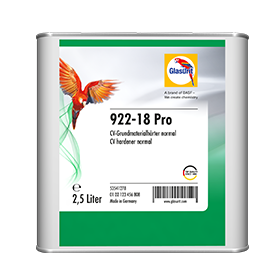 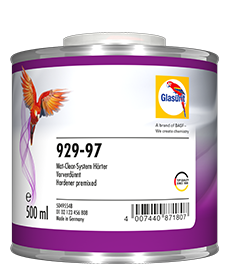 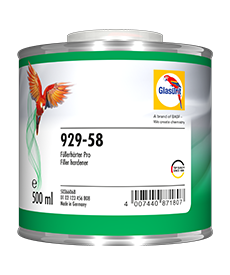 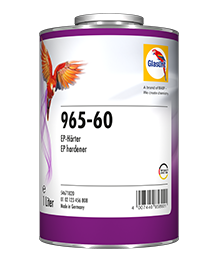 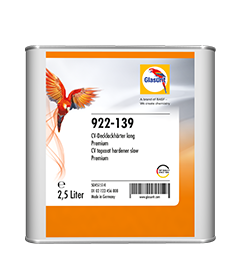 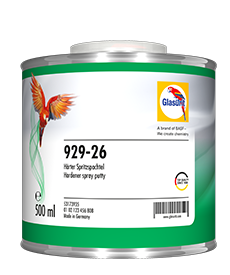 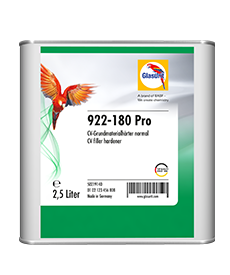 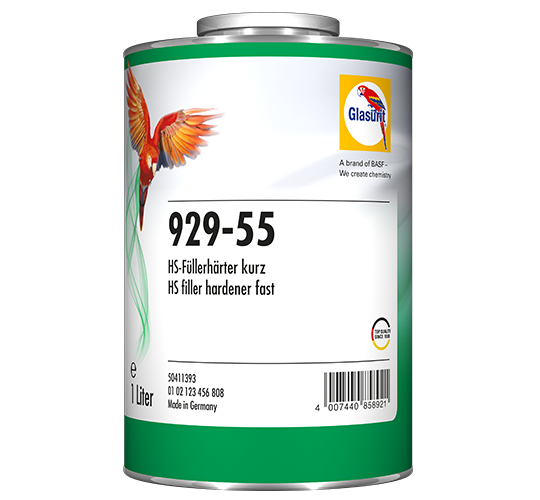 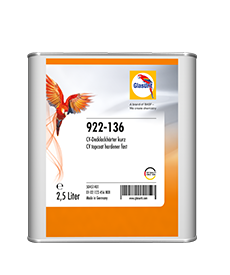 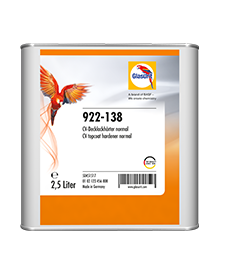 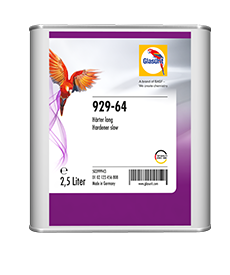 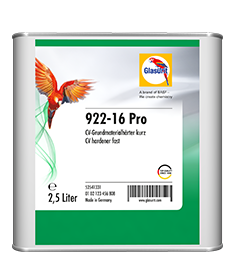 Glasurit 929-56 HS Filler Hardener, normal, is ideal for use in Glasurit non-sanding fillers, for larger parts and higher temperatures. 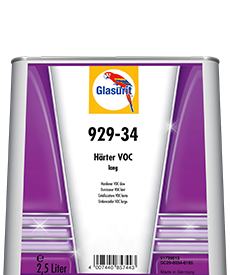 Both these hardeners are adapted to the Glasurit primer fillers, and in combination with them, they provide spraying reliability, fast drying, reliable application and good sanding behaviour in both wet and dry sanding processes. 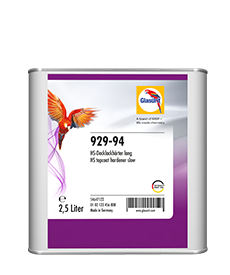 Seal cans with left-over material carefully! Hardeners are sensitive to humidity! See Technical Information sheets for base products.